Late night shopping is dangerous. Late night shopping when Etsy is full of wonderful, charming stores is even worse. Trust me, I know. 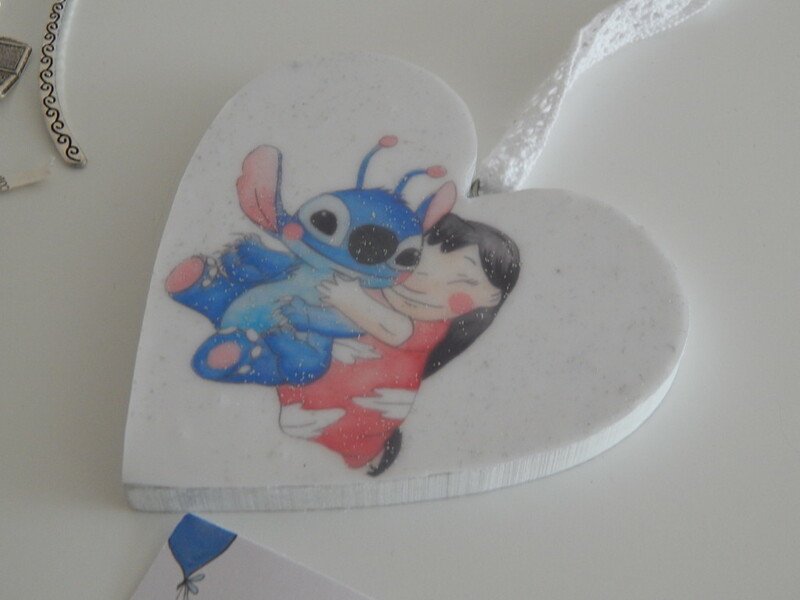 Following on from my recent Dorkface haul (you can find that here if you haven’t already read it), I went back onto Etsy and visited a few other stores. I love finding new smaller businesses to support and thought you might to, so I thought I would share them with you today. Would you like to see what I picked up? First up was LMR Illustrations. I have bought from this store before and I have always been so impressed with how lovely her work is. I adore her Disney work. When I saw that she was making these gorgeous decorative hearts, I immediately snapped one up so that I could display it in my room. The next Etsy shop that I decided to check out is actually pretty new but one that I have been eagerly waiting for. 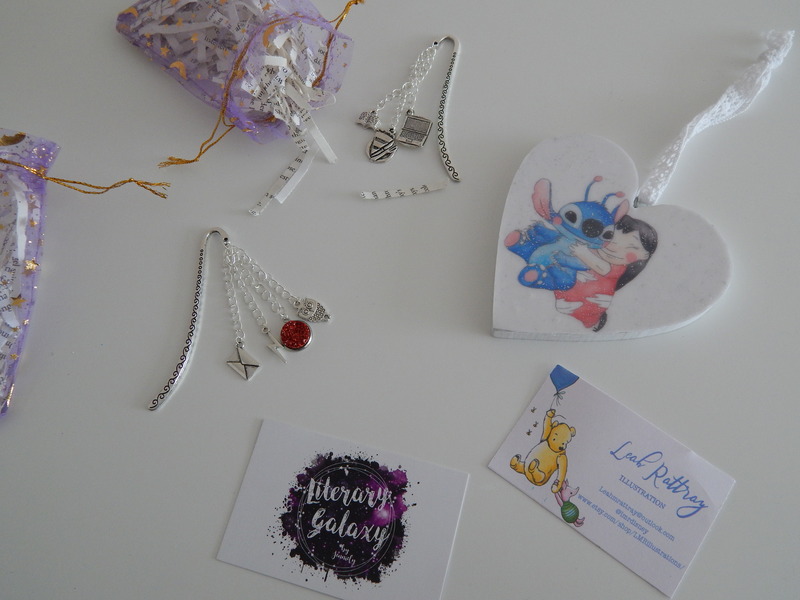 Literary Galaxy is run by fellow book blogger, Jenn and it stocks the most wonderful bookish goodies. My personal favourites are the bookmarks and I decided to pick up two from her shop to combat my reliance on train tickets and receipts. My new bookmarks came in the most adorable packaging and I’m actually keeping them in their bags until I’m ready to use them. This first bookmark is the book blogger one and it is so spot on! A combination of reading, my laptop and cake seems like a perfect weekend to me. 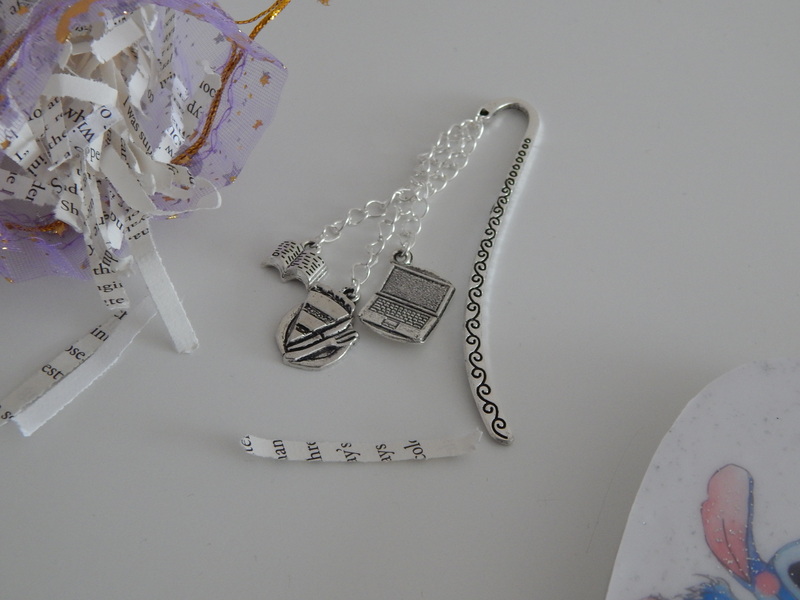 The second bookmark is my favourite though. 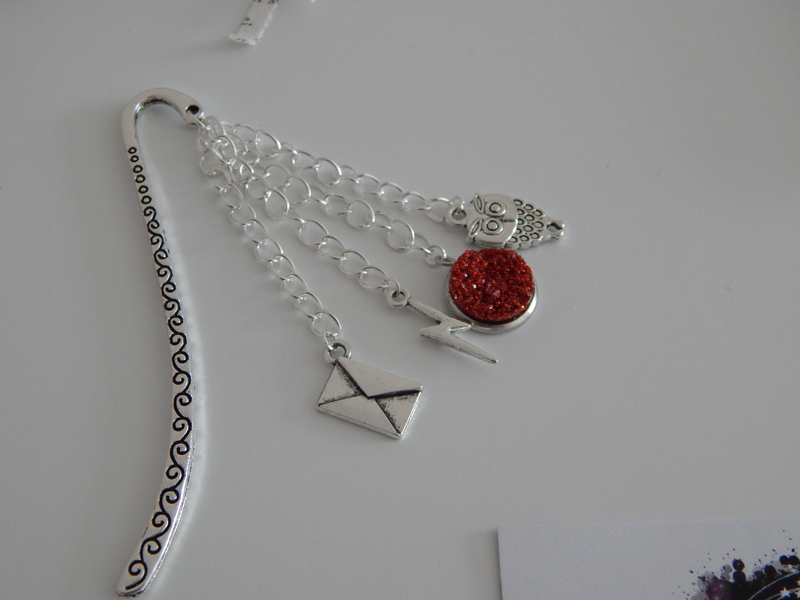 It is, of course, inspired by Harry Potter and has an extra red charm because I am a Gryffindor. I think these are super cute and would make great gifts (for yourself or a friend). I have a feeling Literary Galaxy will be joining the list of my go-to Etsy shops. If you haven’t already checked out the shop, you can find it here. Thank you so much! Great pictures lovely!